Focusing on birds and mammals, we look at the spatial patterns, processes, establishment, traits and impacts of invasive species. We study the role of cross-boundary collaboration and conflicts in the conservation of terrestrial, marine and freshwater systems. 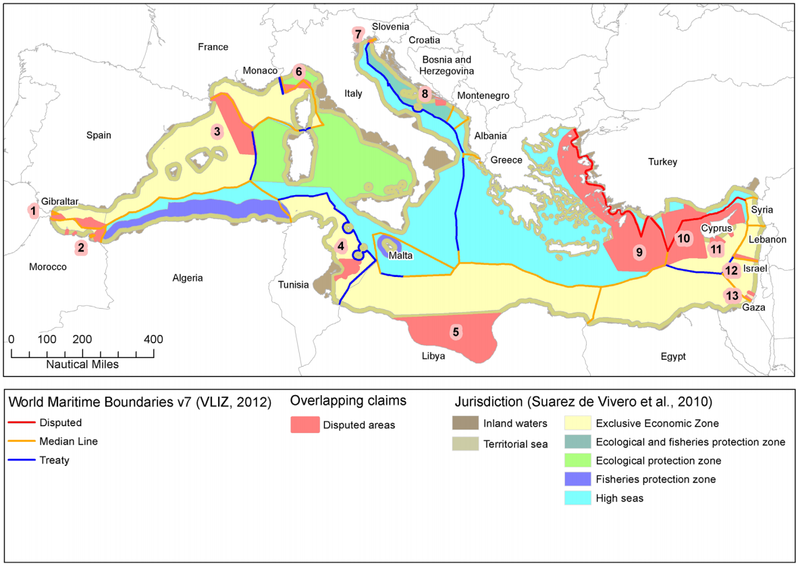 How do we achieve systematic conservation plans for the Mediterranean Basin in the face of new challenges, such as oil and gas operations? What are the spatial and temporal trends of conservation of urban biodiversity and how do these factors shape success of species in urban environments? 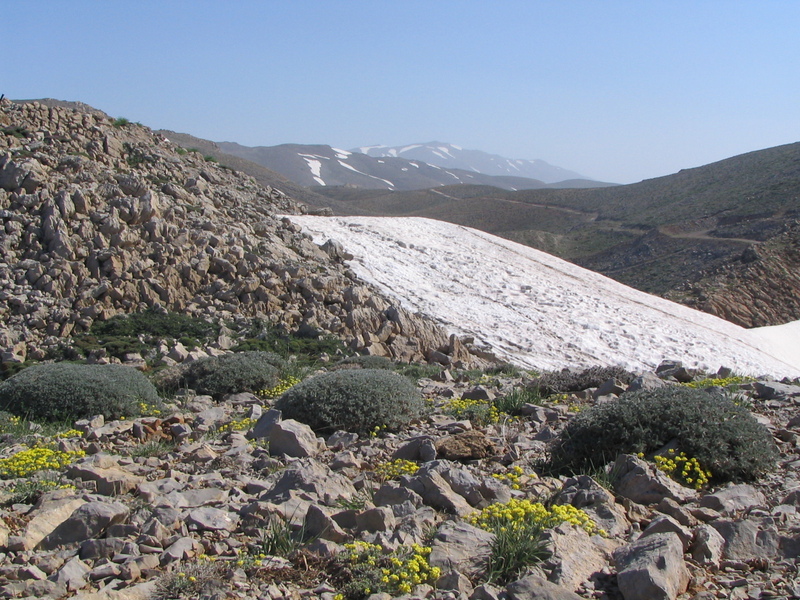 We study how biodiversity changes along species distribution ranges, particularly across environmental and ecological gradients. We aim to examine spatial patterns, processes and management strategies of invasive and threatened species across Australia's islands and globally. 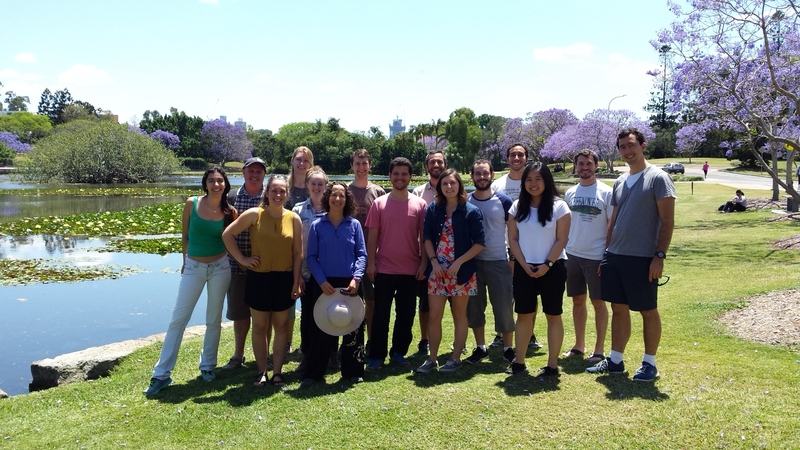 The Biodiversity Research Group is a dynamic research team led by Associate Professor Salit Kark with interests in conservation science and ecology. 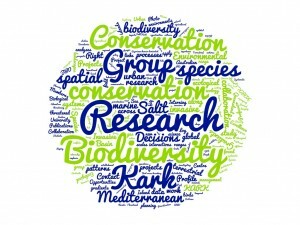 The Kark Group works on a wide range of conservation, environmental and ecological aspects and collaborates with multiple groups worldwide in both terrestrial and marine ecosystems and across spatial scales, ranging from regional to global to help solve key environmental questions, ecological and conservation challenges. 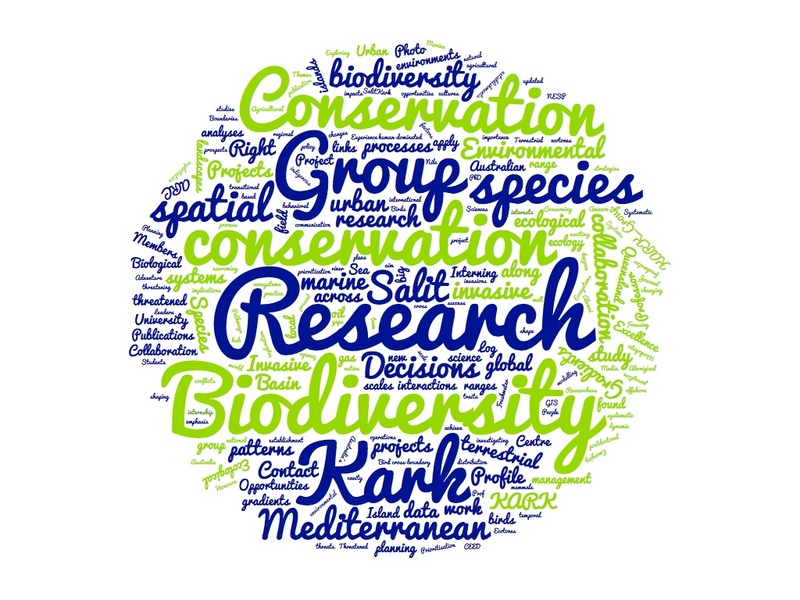 We are members of the Environmental Decisions Group and the Centre of Excellence for Environmental Decisions and Kark is leader of a large project on island conservation (with the the NESP Threatened Species hub). 3. 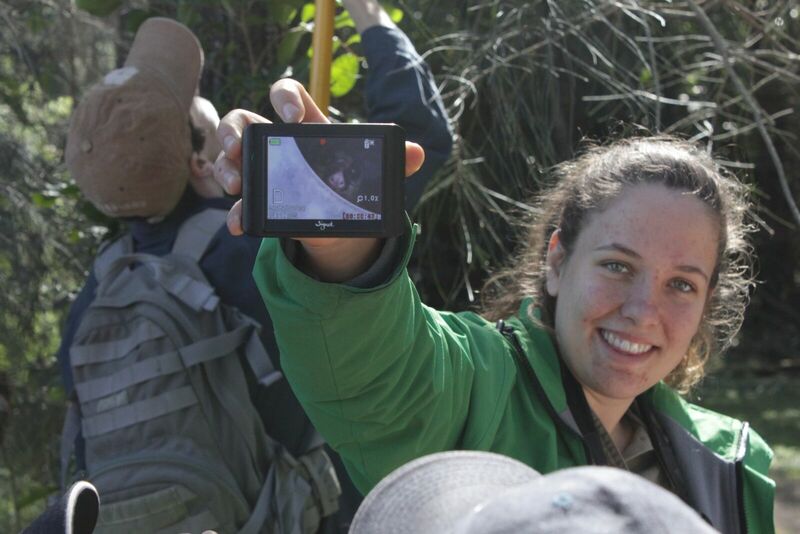 Exploring the use of big data in conservation. 4. Emerging conservation challenges and prospects in an era of offshore oil and natural gas exploration and exploitation and other threats to marine ecosystems. 5. Pathways for narrowing the gaps between science, policy, management and practice in conservation. The Kark Group studies the patterns and processes shaping biodiversity and their implications for conservation in a changing world. 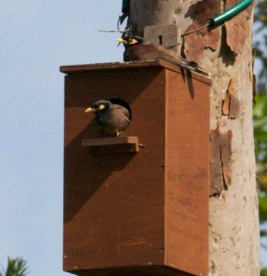 Past and present project can be found using the projects tab. Kark Group updated publication list along with PDF and web links to articles can be found using the publications tab. We have opportunities within the Biodiversity Research Group to apply for postdoctoral, PhD and Honours projects, as well as volunteer work. 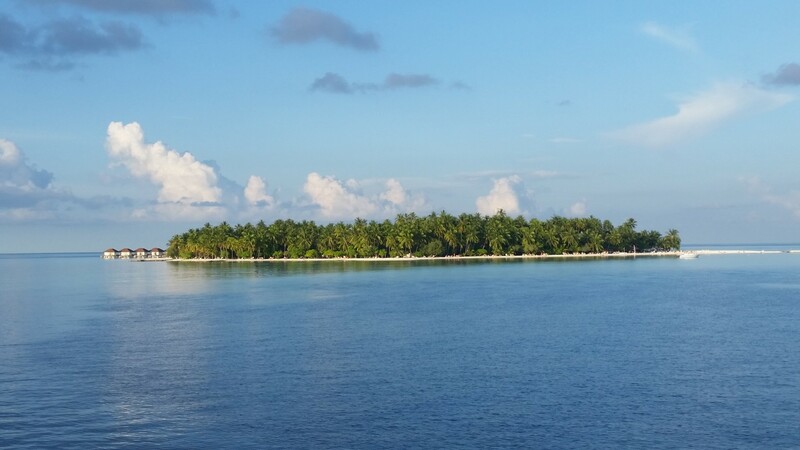 Our group has a range of exciting current projects that involve both field work and large spatial data analyses, GIS and global biodiversity research in both terrestrial and marine systems. Our research crosses multiple spatial scales, from global and continental to local. We apply large scale and “big data” analyses, spatial modelling and field work to explore key conservation, environmental and ecological questions and help support science-based conservation decisions. Back row (Left to Right): Isabella Oliveira, Steve Wilson, Carly Martin, Andrew Rogers, Hernán Cáceres Escobar, Diego Bezerra, Matt McKinney, Eduardo Gallo-Cajiao. Front row (Left to Right): Carla Archibald, Salit Kark, Ruben Venegas, Maggie McKeown, Matt Philben, Emma Lee.